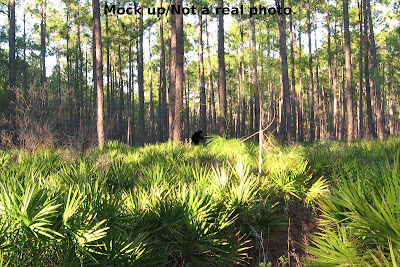 Let me first start by saying that I personally have a hard time believing most of the reports of a "bigfoot" type creatures that come out of Florida. I think probably the best possible evidence caught over the past several years was the Stacy Brown FLIR video, and some disputed it. I thought it was a good video and worth studying. Some of the top names in Bigfoot research also think it to be of a real Bigfoot/Skunk ape. The reason I have a hard time believing most Skunk Ape evidence that comes out of Florida is that I think there is a lot of misidentification of said evidence. What many may not know is that there is a fairly large population of monkeys in Florida. I think often times tracks are mistaken for Bigfoot tracks when really they at monkey tracks. In 2015, News 4 reported that the monkey population was spreading in Florida. That the population in Silver Springs State Park alone was over 200 monkeys. But that is not all. A trapper working under state permits reported capturing 772 monkeys from the park between 1998 and 2012. But there are still many more monkeys in Florida. With that said let's continue on with this newest report. "I HAVE HUNTED IN FLORIDA MY ENTIRE LIFE. WHAT I SAW IN LONG SWAMP YESTERDAY ACTUALLY SCARED THE HELL OUT OF ME. I AM NOT A NUT BUT IF IT WAS NOT BIG FOOT I JUST CAN'T EXPLAIN IT. THIS WAS NOT A BEAR AND IF YOU ARE HUNTING IN THAT AREA I SUGGEST YOU TO BE VERY CAUTIOUS. THIS DAMN THING IS VERY TERRITORIAL." Of course, there are some people who are ripping on him and saying he is lying and things such as that. But that is par for the course when we talk about Bigfoot or basically any cryptids. I have no idea if the story is true or not but I find it very believable. For those who have not seen the video here it is and you can make up your own mind. Mr. Harris has been swamped with friend request, private messages and comments about his video. I don't think he was expecting such an overwhelming reaction to his video. We wish Mr. Harris good luck as he has set off a viral storm over his video. We also thank him for telling his story. We would also like to hear what other have to say about the video and the Skunk Ape of Florida. 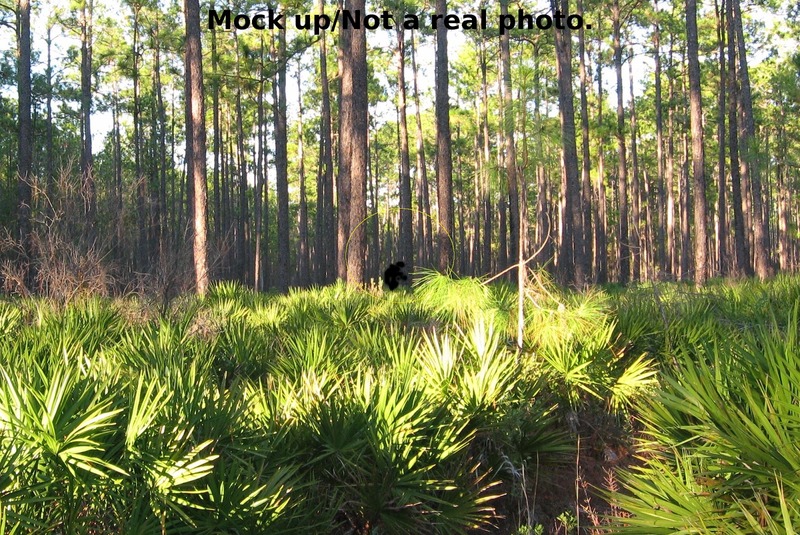 Also, I'm not saying there is no Bigfoot in Florida, I'm just saying I think many reports are misidentifications.